When Jerold Zaro became interested in politics as a college student, he didn’t know this enthusiasm would beget two decades of public service. Jerold served as Chairman of the New Jersey Highway Authority. Five years ago, he was appointed Commissioner of the New Jersey Sports and Exposition Authority. 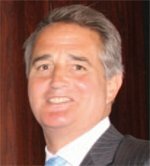 Jerold has also been involved in the local politics of his neighborhood of Ocean Township, N.J., where he served as a Councilman and as the Township Attorney. In the private sector, Jerold is the president and managing partner of Ansell, Zaro, Grimm and Aaron, a law firm which focuses on real estate, banking and commercial law. 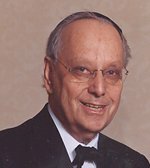 In 1993 Jerold was introduced to Rabbi Yosef Carlebach, a local rabbi from his neighborhood and the Executive Director of Rutgers Chabad House, who has become his dear friend and mentor. As Jerold got involved with the Chabad House he committed himself to put on tefillin every day, a routine he staunchly upholds 15 years later. A lot has happened to the Chabad House since Jerold began to regularly put on tefillin. A women’s dormitory was built, a new Torah Scroll and Prayer books were acquired to accommodate the influx of hundreds of students, and the kosher kitchen, which originally fed a handful of meals, now serves over 700 meals on Shabbos. This unbelievable momentum has turned what could have been a minimal campus presence into a leading and vibrant center of student life. Besides generous financial contributions, Jerold plays a special role at the annual dinner. 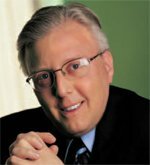 When the master of ceremonies cancelled shortly before the Chabad House’s big dinner in 2003, Jerold answered the call—and has been pinch-hitting ever since! While Jerold often is called upon to speak at engagements, officiating as the master of ceremonies at the Chabad House’s fundraising evening, is his favorite event because, “Chabad House is where my heart lies,” he says. Ruth Hyman’s extra-ordinary generosity reaches far beyond her locale of Monmouth County, New Jersey. Her munificence and activism has touched many Jewish causes in the United States and Israel. Ruth has been past president and international life member of the American Red Magen David for Israel, life member of Daughters of Miriam, past president of Deborah, and past president of Long Branch Hadassah, a position she held for 30 years. She has been a charter and life member of the Central Jersey Jewish Home for the Aged, past chairperson of the Federation Women’s Business and Professional Division, an active member of B’nai Brith and AMIT, as well as chairperson of the Women’s Division of Israel Bonds. 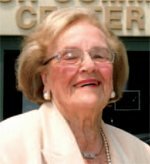 As a philanthropist, Ruth is the proud benefactress of the Ruth Hyman Jewish Community Center in Deal, New .Jersey. In addition, Ruth has twice been named a Founder of Hadassah Hospital at Ein Kerem and at Mount Scopus Hospital where her name is inscribed on the hospital’s Pillar of Hope. Her parents, who came to the United States from Lithuania in 1897, influenced Ruth’s community activism. “They were passionate about Jewish life,” she says, and founding members of their synagogue, Congregation Brothers of Israel in Long Branch, New Jersey. “A lot of what I am comes from my heritage,” says Ruth. Ruth has cultivated a special friendship with Rabbi Yosef Carlebach, Executive Director of Rutgers Chabad House, and his wife, Rivkah. When Ruth went through a difficult hospital procedure that resulted in complications, the rabbiand his wife regularly visited her and they developed a close friendship. Every Friday, the rabbi, along with his children, visits Ruth and drops off a freshly baked loaf of his wife’s challah. “I am grateful Chabad tries so hard to bring the Jewish people together all over the world,” says Ruth. When her nieces traveled to Italy, they brought Ruth souvenirs of their trip-and personal accounts of the local Chabad family’s incredible hospitality. Besides her financial contributions, Ruth enjoys the organization’s events, including the sukkah festivities, which she looks forward to every year. Born in 1937 a few blocks from Yankee Stadium, Donald joined the Army after college. When he returned, he worked at an accounting firm during the day and by night he studied law at New York University. In the mid—’60s he teamed-up with his brother, Michael Hecht, to start Hecht and Co., a Manhattan—based accounting firm, where the duo still works as managing partners. During the height of Donald’s chemotherapy, Rabbi Carlebach invited him to be the guest of honor at the Rutgers Chabad House annual dinner in 2003. After having personally experienced how Chabad touches people in all straits of life, Donald wanted to become a part of its positive influence and impact the next generation. Besides his generous financial support, Donald is Honorary President of Rutgers Chabad House, the largest Jewish center on any public university campus in North America. Through Donald’s support, students of all Jewish backgrounds are enabled to maintain a Jewish lifestyle and preserve the continuity of their heritage. Donald Epstein thinks about “mixed” marriages differently than the average Jew. Unlike typical “mixed marriages,” Donald’s union brought him closer to Jewish culture, albeit a different one. While Donald’s grandparents hail from Eastern Europe, his wife’s family, the Zaghas, go back generations to the Jewish community of Syria. The couple’s five children share two diverse, yet rich backgrounds of Jewish tradition. Each side of the family has its own take on Jewish customs, cuisine, and mode of prayer, but they fuse in the importance they place on Jewish continuity. “Both sides of our family deeply believe in doing good things for the Jewish people,” says Donald, a partner at Matrix Development Group, a full-service real estate development company. As a result, Donald has been involved with the Rutgers Chabad House for over 20 years. Donald greatly values the attractive and unprejudiced environment Chabad creates for all Jews: orthodox, conservative, reform and unaffiliated. “Chabad gives students a place they can call home,” says Donald. Three of these students for whom the Chabad House functions as a home-away-from-home are Donald’s children; Charles, who graduated in 2006, Raquel, who is a senior, and Ralph, who is a sophomore. Donald looks forward to personally witnessing the Chabad House’s expansion and especially anticipates the creation of a men’s dormitory. Mostly, he hopes the talented staff will continue to create an enriching environment, and be able to focus their energy on providing services without worrying about bills. Besides generous financial contributions and lending his professional real estate expertise, Donald lent the Chabad House one of his family’s personal Torah scrolls, which was dedicated in memory of Jeanne Zagha’s grandfather. Donald’s other public service endeavors include past president of the Jewish Community Center of Monmouth County, a position Donald and his wife individually held, and chairman of the JCC’s building expansion project. In addition, three years ago, the Epstein family acquired Moment Magazine, an independent cutting-edge publication that focuses on Jewish politics, culture and religion. Even so, for Donald there’s nothing like the delight of seeing an active, prosperous organization like the Rutgers Chabad House and the indescribable joy he feels when he sees 170 College Avenue filled with students. This visual statement of Jewish continuity would make previous generations of both the Epstein’s and Zagha’s proud.